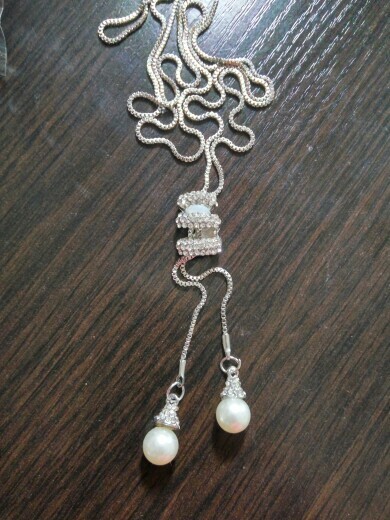 Beautiful pendant with simulated Two pearls. Adjustable Length chain. I like!